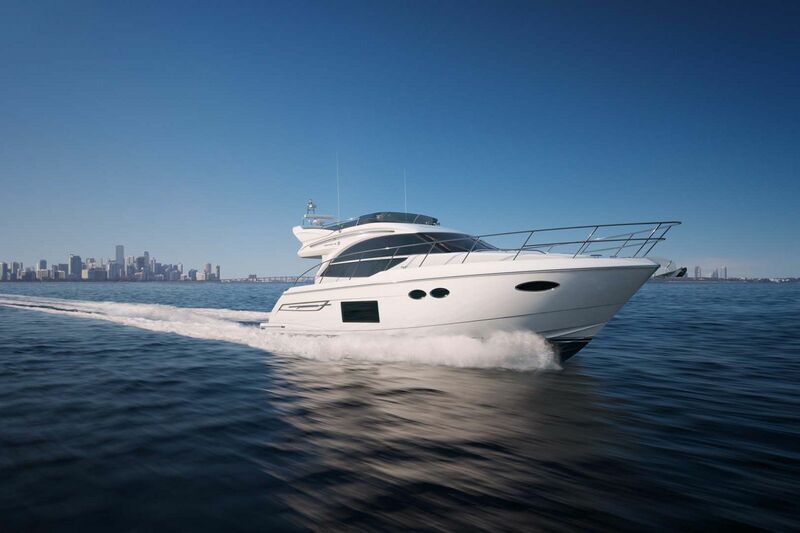 With traditional Princess exterior lines, a single main deck living space, and a variety of options on board to socialize or relax, the Princess Y85 Motor Yacht is an invitation for fun on the ocean. 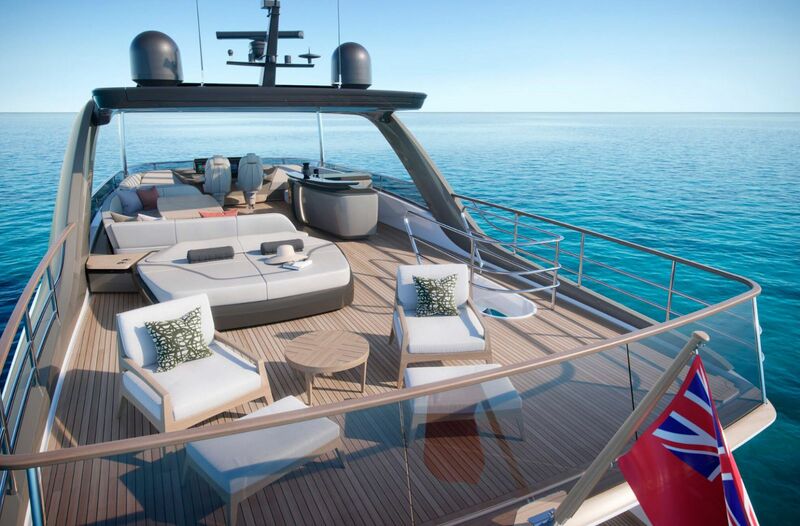 With a contemporary design that is both exciting, yet refined, the Y85's elegance is a benchmark in modern yacht design. 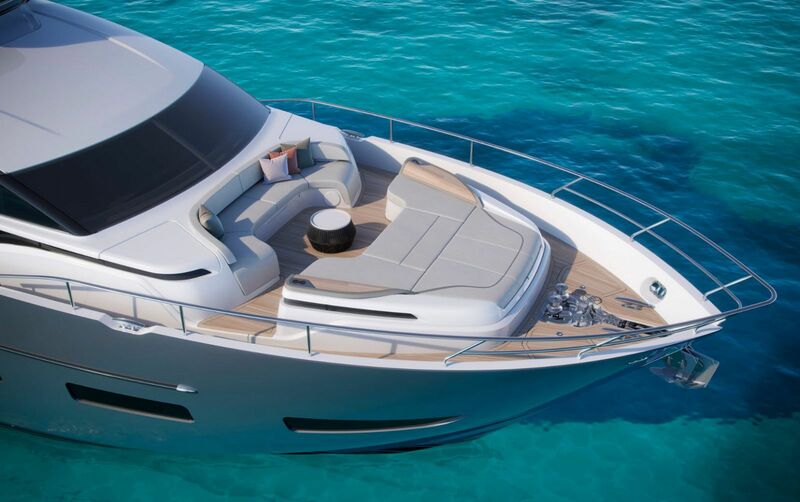 The spacious flybridge offers a comfortable helm with wrap-around seating on both sides of the helm seats along with a U-shaped dining area, as well as additional seating and room for a tender. Completed with a well-equipped wet bar and large aft sunpad, and Princess has transformed this space into a luxurious outdoor patio for sunbathing or dining al fresca. 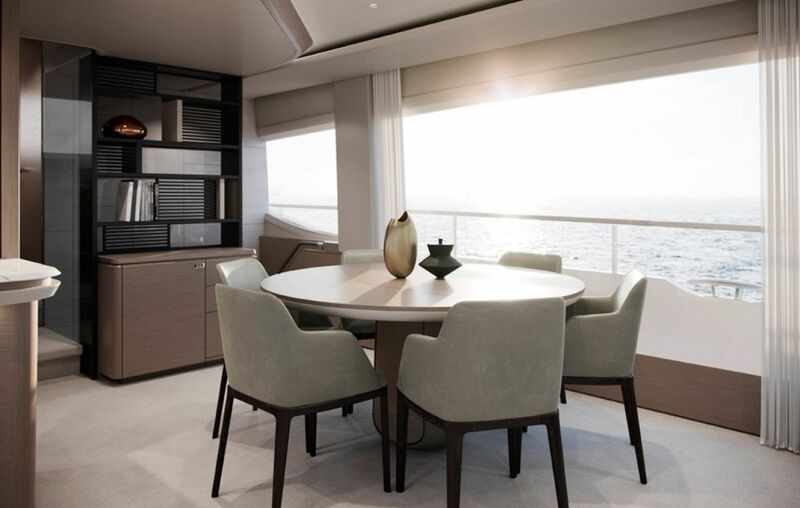 The main deck single living space provides lot of opportunities for relaxing and hanging out. Whether at the transom or on the bow, the Y85 offers spectacular places to lounge. 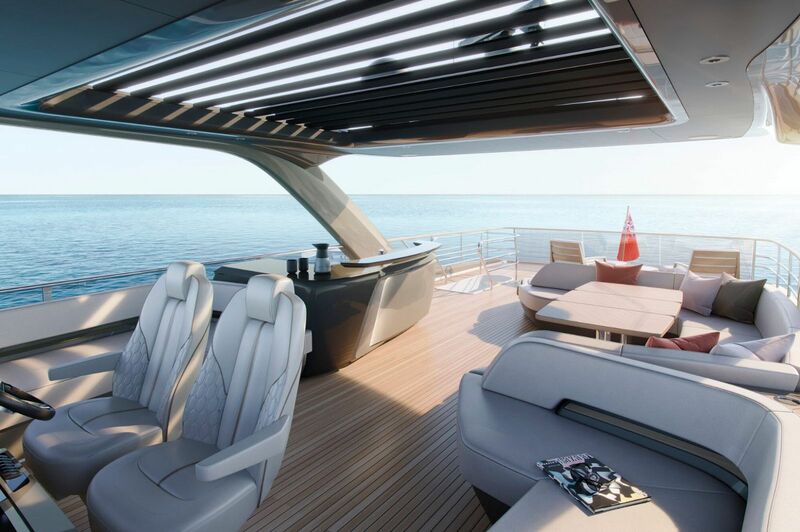 The aft cockpit comes with a generous couch and table as well as extra chairs that look down over the swim platform. 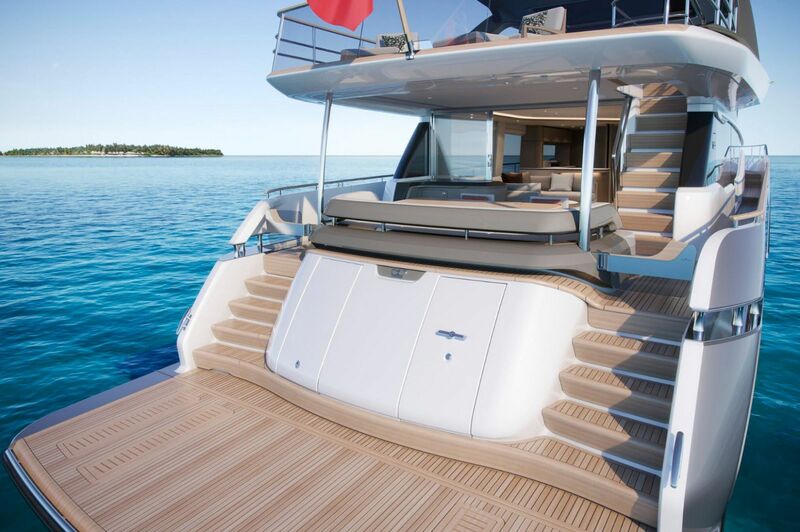 Meanwhile sunpads and seats on the bow provide an exhilarating experience when the boat is underway. One of the great features about this boat is the use of multiple seating areas on the main deck that still give the crew the ability to move around without being noticed. This level of privacy is expected on a yacht of this caliber. The galley arrangement is flexible depending upon the needs of the owner. Below deck there are four beautiful en suite cabins that can easily accommodate eight guests. While everyone on board will be impressed with their rooms, the owner's full-beam master suite is magnificently appointed. The chosen power option on board are twin MAN V12 1900hp engines that will push the Princess Y85 to speeds of 33 knots and beyond. 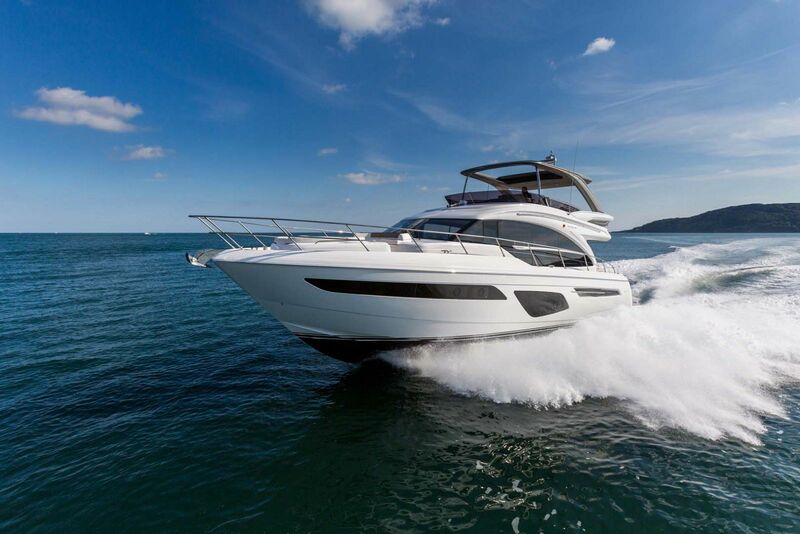 For more information on the Princess Y85, please contact one of our SI Yachts sales professionals today.